I knew I wanted to be a pro cyclist when: I only started cycling when I was 21. Before that I was working in factory, but I always knew I wanted to do something more and once I started cycling, that was it. Greatest racing memory: When I won the Tour of Austria and my family and girlfriend were there to celebrate with me. That was a really big moment. If I wasn't a pro cyclist: I think maybe I would have liked to have been a teacher. 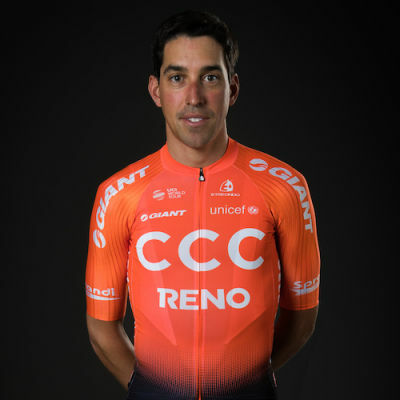 After starting his professional career with a CCC-sponsored team in 2016, Victor de la Parte is now in his third year in the UCI WorldTour. The Spanish rider gained recognition after winning two stages and the GC at the 2015 Tour of Austria while racing at the Continental level. He has impressed over the last two years at a UCI WorldTour level with solid performances in stage races and time trials. In 2018, de la Parte was third at the Settimana Internazionale Coppi e Bartali time trial, which shows his potential in that discipline.